I really do like this cat. The face although hard to see on this photo is superb. With a little artwork this can easily pass as a tiger or cat. Fantastic for line work. I remember seeing a more fancy version of this at a previous care and share day. An excellent bike however I do have a confession to make..... I used two balloons as I ran out of latex! A second attempt would have been a good idea. Really nice design - one of the best. 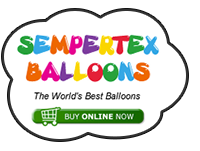 If you are a beginner to balloon twisting or are looking for a collection of quick and easy balloons for line or restaurant work then this is the perfect choice for you. The DVD is well presented and very good value. The advantage for less experienced twisters is the inclusion of the 'over the shoulder' camera which really does help. There are a few times when a model starts and Graham doesn't mention how much balloon to leave uninflated and so you find yourself having to freeze the DVD just to catch a glimpse of the tail. As I was progressing through the models it was becoming more and more difficult to finish the models with a single balloon even though I stretched the balloon well and made the bubbles to match. 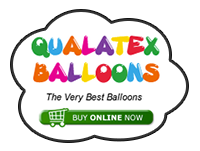 It wasn't until near the end that I realised Graham was using Sempertex and not Qualatex balloons and I think the extra length gained from the Sempertex balloon is the reason why I was having problems. It's not big deal though. A quick rework and resizing exercise soon put things right. I only point this out for newcomers who may get frustrated if they didn't know this. In the right colours I think this would be a winner? Well maybe. Has anyone spotted anything a little odd about one of the models? It did not start out as what it ended up with on the DVD and was put on as a bit of fun. It has to be the vacuum cleaner! That one is an odd choice compared to the rest of the content and I think it is part of a dinosaur that you found amongst your scrap pile. It is the vacuum cleaner but it started it's life not as a vacum cleaner or dinosaur but as a ****? Oh looks like a competition, so what did the vacuum cleaner start out as, I will explain all at the Bishops Stotford Care & Share day. Unless someone works it out before. Maybe it would be a good idea to teach peaple how to make this, just before it was time to clear up hint hint!!! I think this is an early attempt at a foot! I did explain this at the Bishops Stortford day, the vacuum cleaner started off as Thelma's wonderful one balloon Dove which is one of my two favourite things from one balloon.